Perfect for metal, precast, wood, and rented or leased buildings. Available in 1 thru 5 ton capacities. Runway lengths of up to 50 feet. Spans of up to 39 feet. Support columns bolt directly to a 6 inch reinforced concrete slab. Modular design for easy relocation. Stainless steel food grade and other stainless non-corrosive systems available. Complete CAD drawings supplied with each system. Runway systems designed to AISC specifications. The structure of stand alone workstation bridge cranes is header braced across the ends. 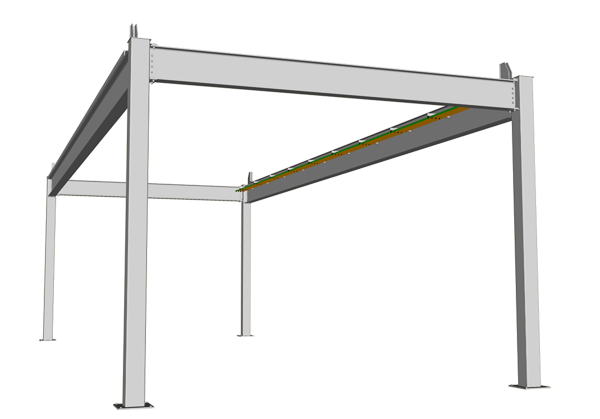 The header and runway beams are connected to the top of the column with a rigid moment connection. Therefore, header bracing removes the requirement for knee and other braces, which keeps the workstation free of obstruction allowing for maximum use of the work area. Header bracing also eliminates the need to brace the crane structure to the building structure, which allows for locating the workstation in the most desirable area. The bridge on a CraneWerks workstation crane rides on the very top of the structure, which provides maximum hook height. The additional hoist hook height gained by the unique momentary connection and top running design ranges in many cases from 10 to 24 inches. CraneWerks Workstation Cranes are compatible with both single girder motorized, hand geared, push/pull bridge cranes and double girder cranes. 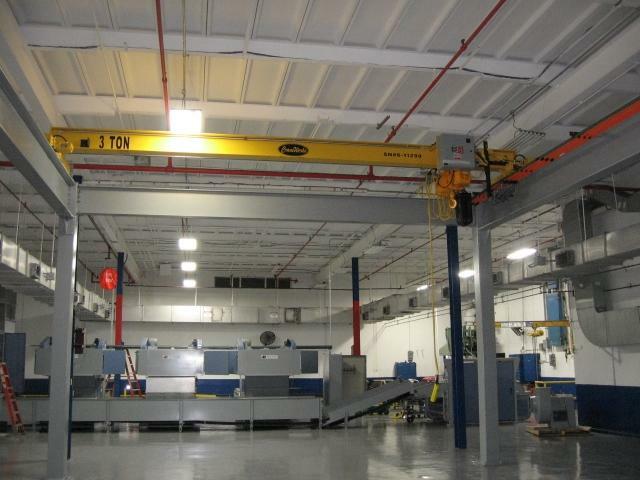 For a CraneWerks quote on a free standing, top running, workstation crane system; please fill out one of our Request for Quote Forms. 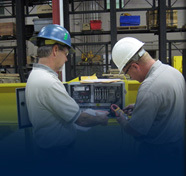 To learn more about our complete lineup of industrial crane systems; or for answers to other questions, please call 888-544-2121 or contact us.